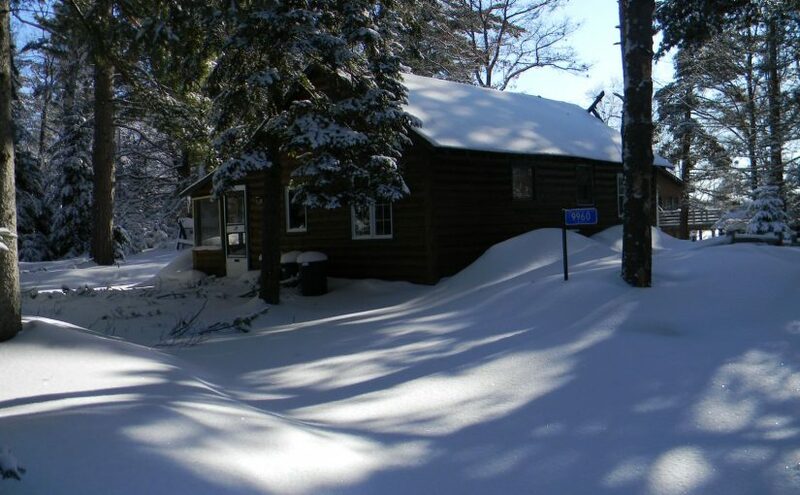 Boulder Junction is the perfect home base for a snowmobiling getaway. The community is home to beautiful snowmobile trails that connect to hundreds of miles of trails beyond. Boulder Junction also offers lodging that’s conveniently located right on the trail, so you can leave the car parked and ride your sled right from the door. 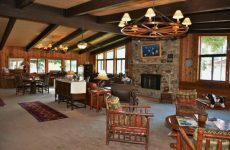 See all Boulder Junction lodging properties. 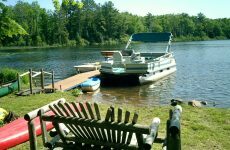 Our small quiet resort is located on Fishtrap Lake (329 acres) and accesses High Lake (734 acres) and the Manitowish River, abundant with Musky, Northern Pike, Walleye, Largemouth & Smallmouth Bass, Crappie, Bluegill and Perch. 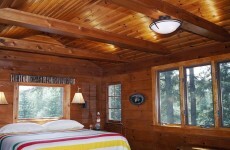 Each cabin has a fully-equipped kitchen and includes bedding, pier, 14′ aluminum boat, satellite TV, WI-FI, BBQ grills. We have a boat launch for your boat and a fish cleaning house. During the evenings, you can enjoy a campfire while listening to the call of the Loons and the peeps & croaks of the Frogs. 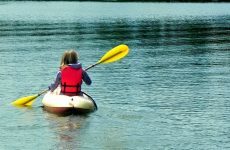 You will experience the beauty & peacefulness of the lakes, forest and wildlife. 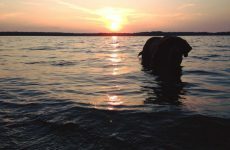 Wildlife, such as soaring Eagles, beautiful Loons, playful Otters and plenty of Fish! You can bask in the sun, read a book or fish from the privacy of your own pier. Your chances are very likely to have sightings of our resident albino deer, as our area is well known to have several. We are located just 4 miles from Boulder Junction “The Friendliest Town in the Northwood’s.” You will have the convenience of a Grocery Store, Sporting Goods Store, Restaurants and Ice Cream Shops. You can enjoy Horseback Riding and even a Flea Market on Tuesdays during the summer. If you like to bike ride, Boulder Junction offers over 50 miles of wonderful paved bike trails. There is something for everyone, including golfing at Trout Lake Golf Course. Fall is a beautiful time to enjoy the vibrant colors of the trees as you view the lake from your cabin or out on your pier, in your boat, riding the bike trails or driving in your vehicle!